In a large bowl, combine flour, baking powder, 2 tbsp sugar, saffron water, ghee and salt. Mix well. Add water little by little. Knead it to make a smooth dough. Cover it with a wet cloth and rest for 20 minutes. Divide the dough into 20 portions, by which make 20 equal flat balls and set those aside. 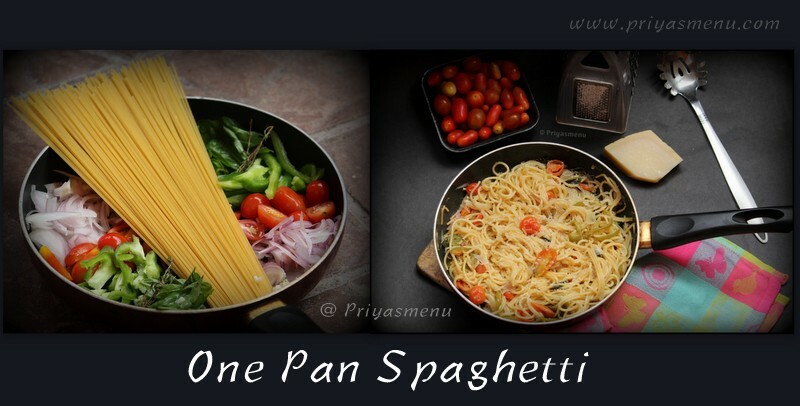 In a pan, crush mawa or khoya. Add ½ Cup warm water, nutmeg powder, Sugar in it. Heat the pan and keep stirring continuously for about 6-7 minutes or till the mixture thicken. Switched off the flame once done. Add raisins to the mixture and mix.. Keep it aside and let it cool down a little. Heat a pan and add 1 cup sugar and ½ cup water in it. Mix rose essence and let it boil. Two String consistency of syrup is required for this sweet. In the mean time, flat a ball by sprinkling little flour and make poori approx 4” diameter circle or oval. Take a spoonful filling and place at the center of the circle. Fold from two opposite sides. Lastly, with your wet fingertips, fold from the remaining opposite ends to make a pocket. Wrap the edges with little water and insert a clove to seal the pocket, so that the pocket won’t open easily. 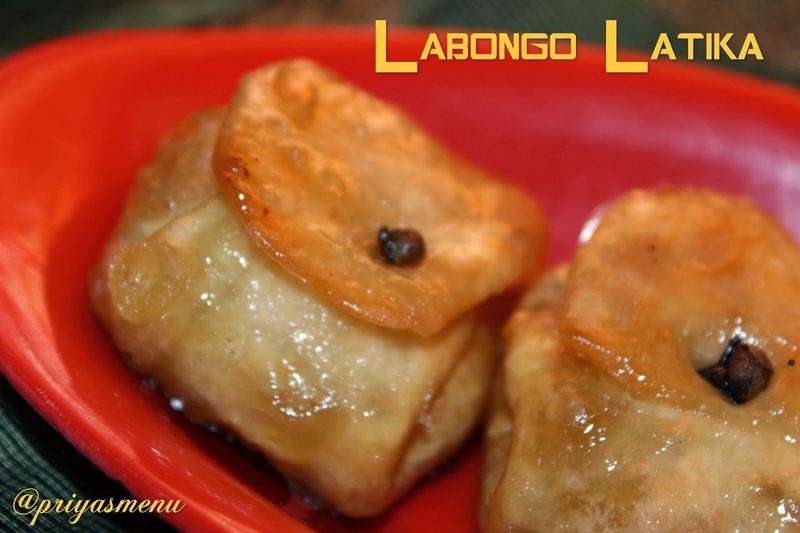 Heat enough oil in a wok for frying labongo latika on medium low flame. Slowly add 4-5 pockets in it. Fry slowly till both sides turn into golden brown. Remove them from the oil and dip in thick sugar syrup for 4-5 minutes. Make sure that both sides of labongo latika are getting drenched in sugar syrup. Remove from syrup and arrange on serving plate. 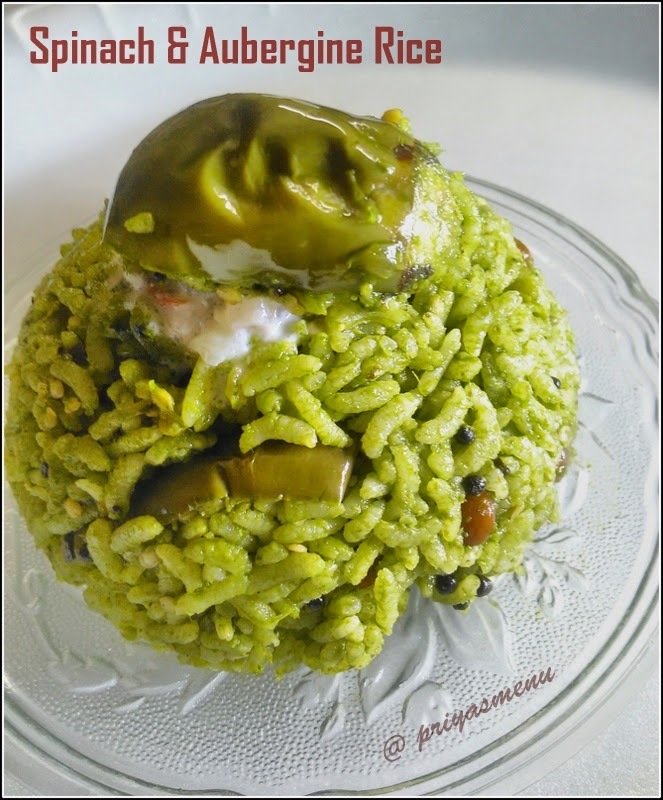 Sending this recipe to SNC Challenge - January Month 2014. Beat Sugar and Butter together until they turn light and fluffy. Add vanilla essence and water or Milk. Beat for few more minutes and add the flour. Mix well and form into a smooth dough. Roll the dough using rolling pin and cut into desired shape using cookie cutter. Arrange the unbaked cookies in a baking tray lined with baking sheet. Bake it for 18- 20 mins in a pre-heated oven at 180 degree C.
Linking this recipe with Home Bakers Challenge and Love2Bake. 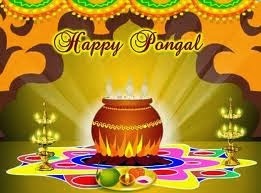 Happy Pongal to all my Dear Friends! 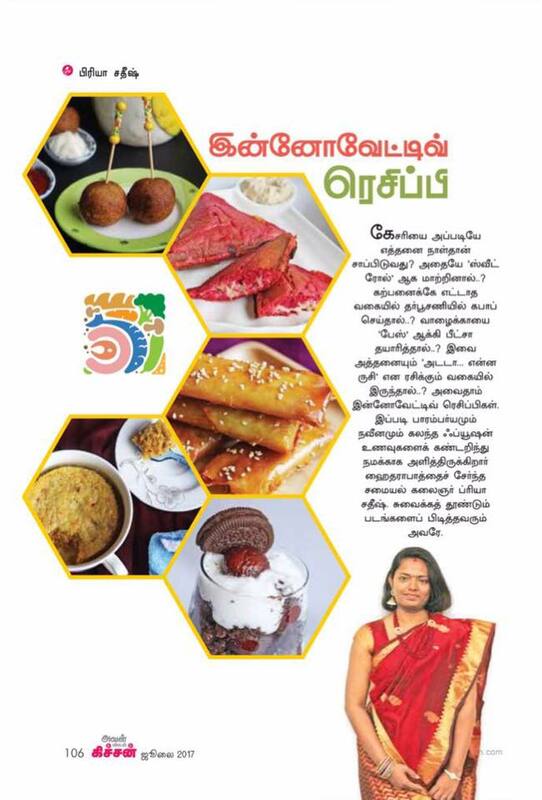 Ven pongal is my family's most favorite breakfast recipe. 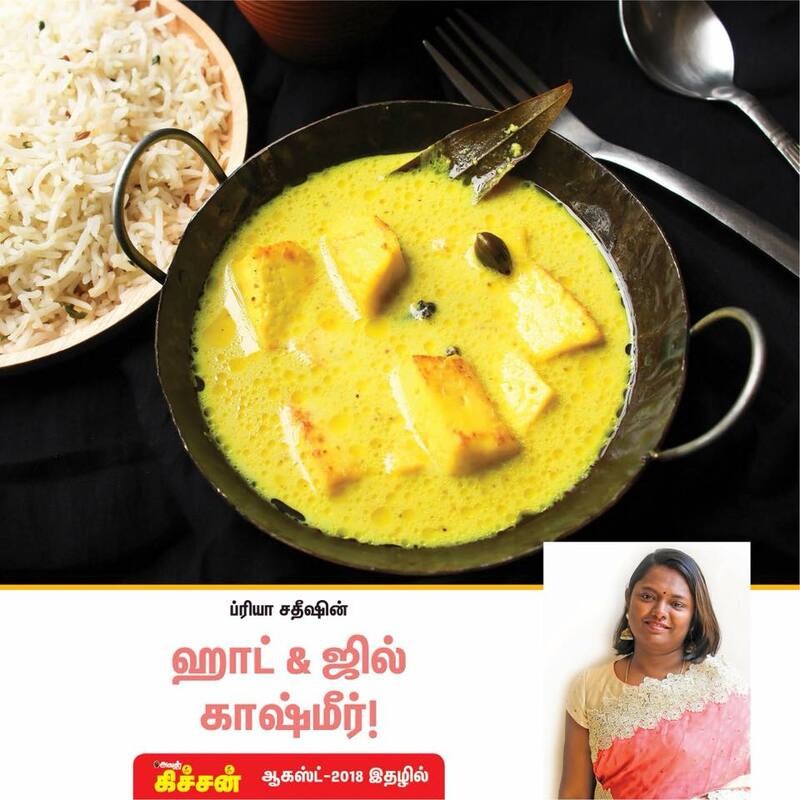 Piping hot pongal with a tsp of ghee on top of it reminds me of my childhood days and chennai mylapore karpagambal mess. Roasting moong dal gives yummy aroma and it enhances the flavor of pongal. Dry roast moong dal and keep aside. Mix both rice and dal, wash and add the measured water and cook it for 5-6 whistles by adding salt and turmeric powder. Once the pressure subsides, open and mash the rice. 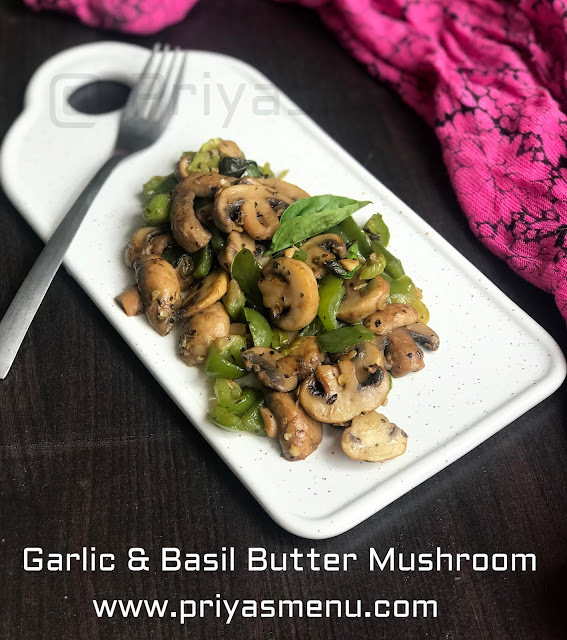 Heat ghee in a small pan or kadai and add cumin seeds followed by peppercorns, cashews, crushed ginger, curry leaves and crushed pepper corns. Add the seasoning to the mashed rice and mix well. Adjust salt and add extra ghee for the flavor. 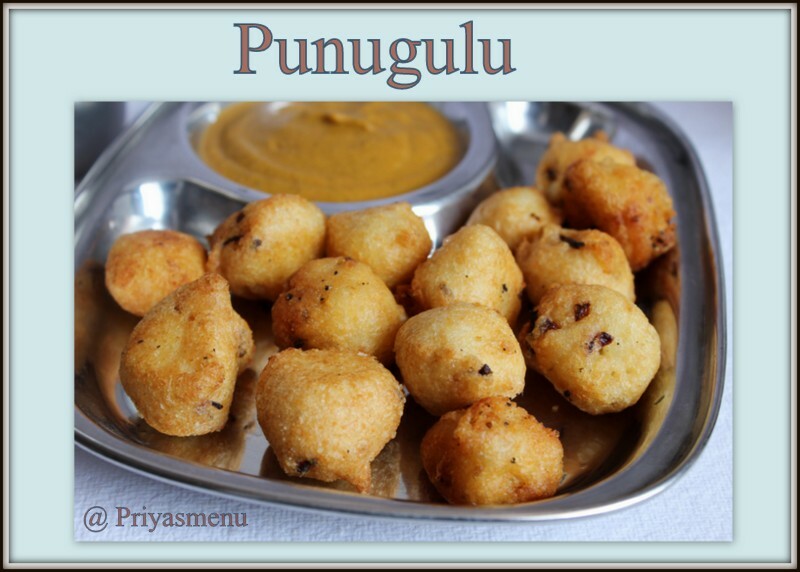 Serve hot with sambhar / gosthu and coconut chutney. 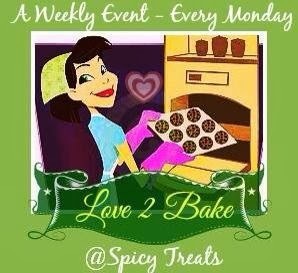 I am very happy to be part of "Love2bake" group hosted by one of our lovely blogger, sangee from spicy treats. This is a weekly event, which happens on every monday and all members will be posting baking related stuffs like recipes, tips and tricks, etc. 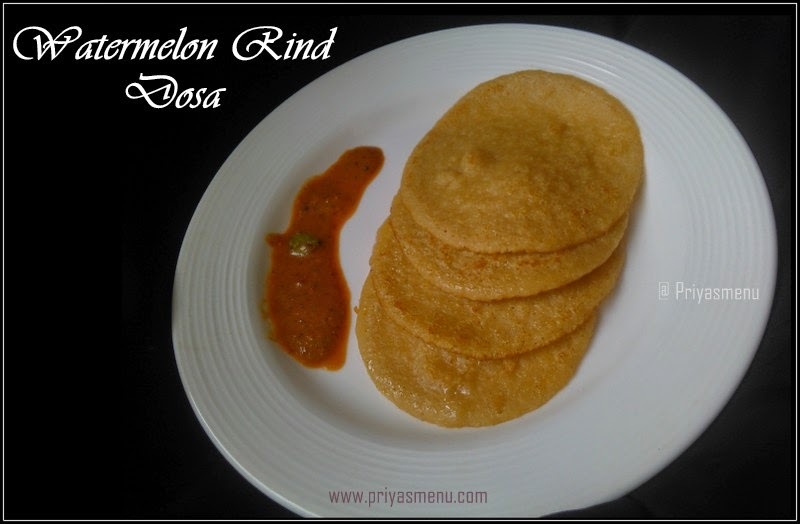 The Event starts today and I feel very glad to post my recipe. 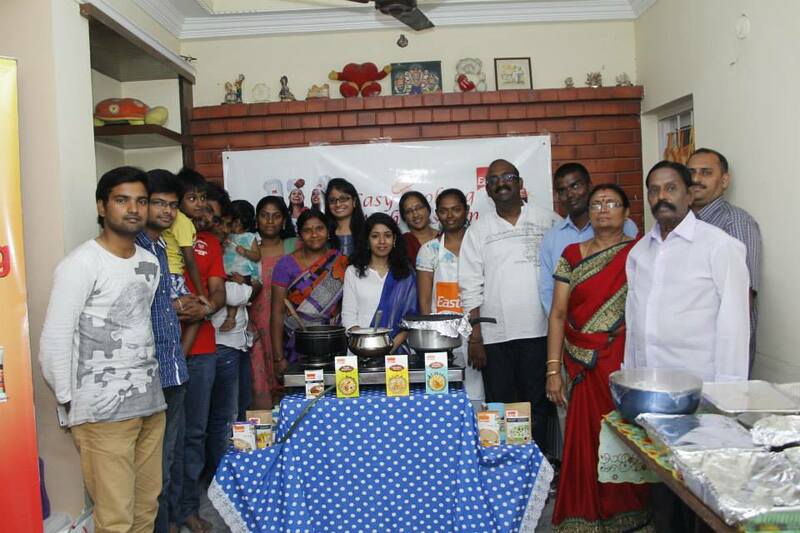 Thanks sangee for this lovely opportunity and am sure that lots of baking related stuffs can be learnt from this group. 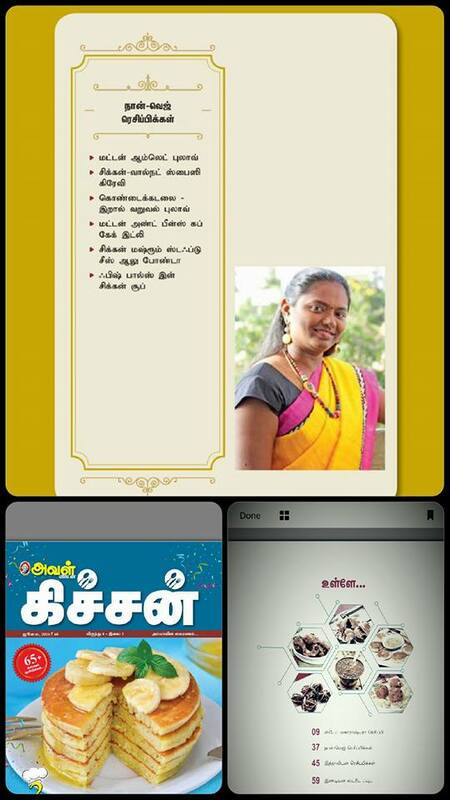 All the best ! Interested bloggers, please click HERE to join. Baked Apples with the mild sugar dusted on top gives yummy and tangy flavor. Absolutely healthy and crispy chips, especially perfect to munch when we are in diet ;). Wash and Slice the apples. Arrange in a tray and Sprinkle sugar on top of it. Bake it for 45 minutes in a Pre-heated oven at 180 degree C.
Flip the other side and bake it for another 30-40 mins or until crisp. Granulated sugar can also be used instead of powder sugar. Baking time varies so check frequently to avoid over burnt. Sending this recipe to "Love2Bake" by Spicy Treats. I know it's late but let me start with a Lovely New Year Wishes. 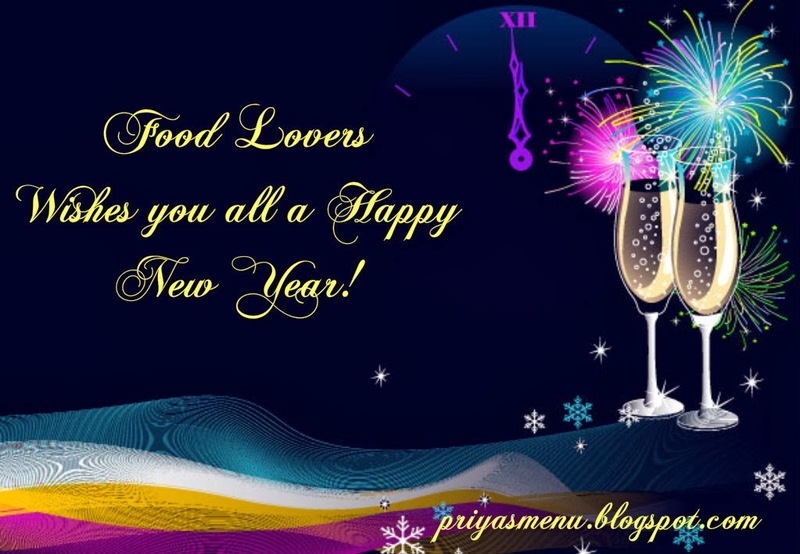 Hope you all had a great start with yummy recipes. I wish you all a Healthy and Prosperous New Year. 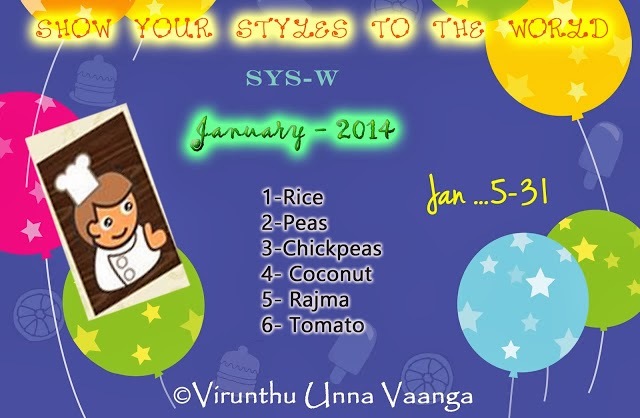 By now everyone must be familiar with the Famous event happening every month in Viji's Virundhu unna vaanga space, "SYS-W Show Me Your Styles To World". Every month two ingredients has been selected by us in an interesting way. 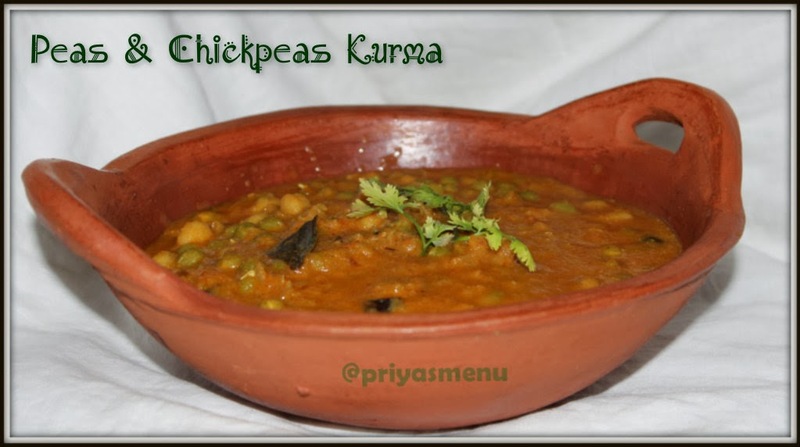 This month I got Peas and Chickpeas as my main ingredients so tried this Nutritious and flavorful Kurma. Soak peas and chickpeas overnight and pressure cook it for 4 whistles or till it becomes soft. Heat oil in a pan and add the masala items ( Bay leaf, star anise, cinnamon and Saunf). Add finely chopped onions and saute well till its turns translucent. Add the ground tomato paste and saute for 5 minutes or till the raw smells goes off. Now add all the powders (Turmeric powder, Garam masala, chilli powder and Salt ). Mix well and add the cooked peas and chickpeas. Add little water and cook for 5 minutes in a medium flame. 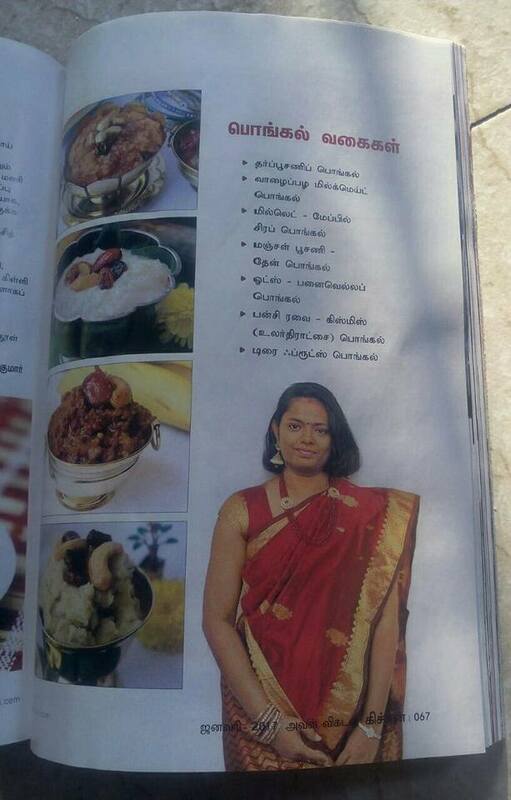 Meanwhile grind coconut and roasted gram. Add it to the curry and mix well. Cook them for couple of minutes and remove from the flame. 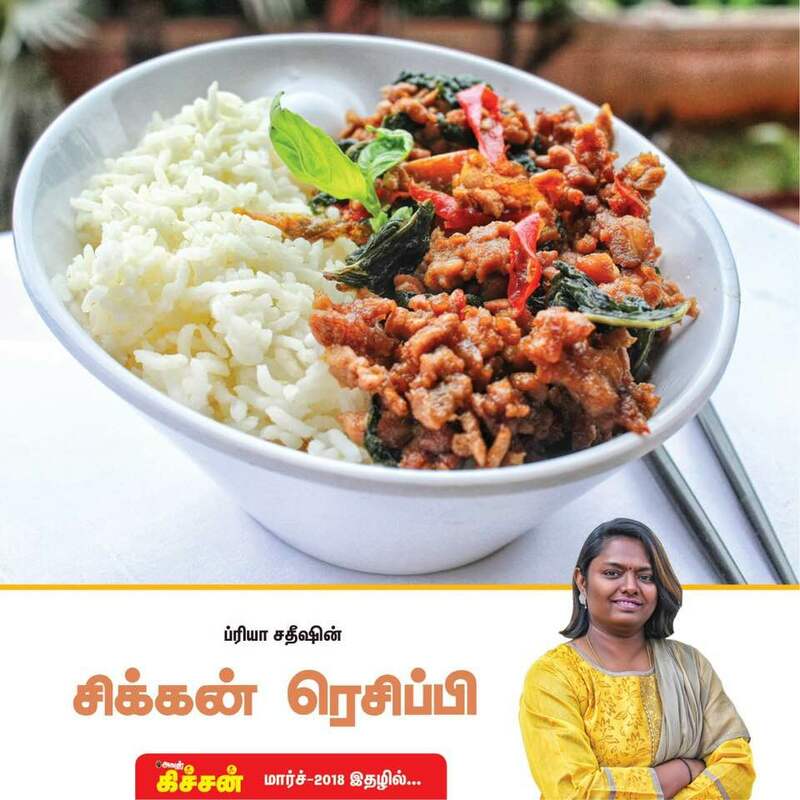 Serve with hot Indian breads and Rice. 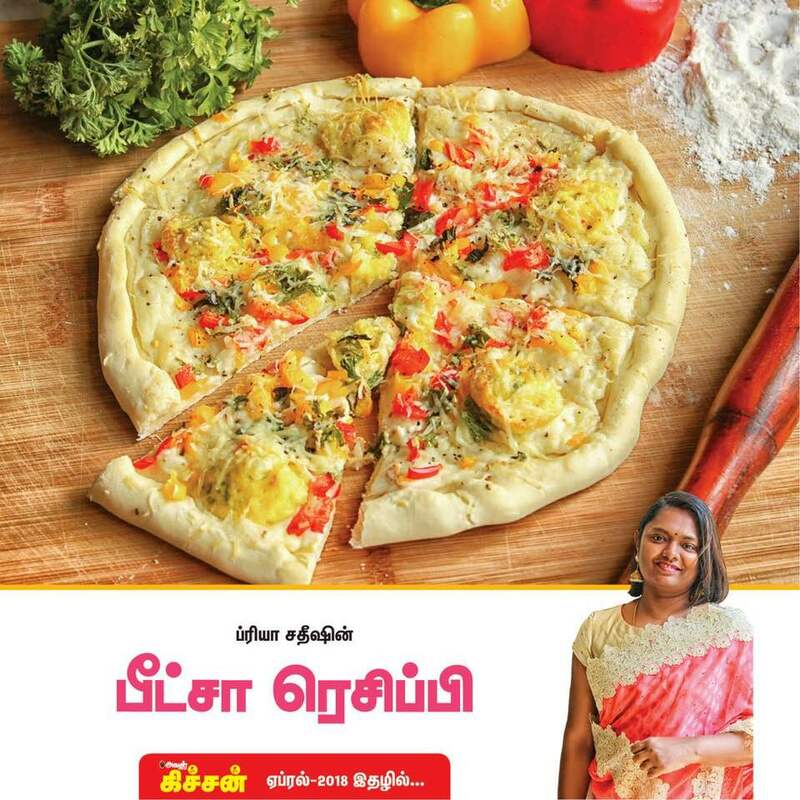 Linking this recipe with Viji's SYS- W Series - Show me your styles to the world.